There are a few answers to the question, how should we save trees? As essential as they are to cleaning our air and providing us with oxygen, people need to start wondering what can be done to prolong the life of our trees. Not only do we need to ask the question, how should we save trees? But solutions need to be acted upon, rather than simply discussed. Amongst a lengthy list of ways of how we should save trees, there are ideas that are a lot easier to follow than it may seem. Simple ways to start are: reducing the amount of garbage we throw out, recycling paper, car pool or walking rather than driving and unplugging appliances when not in use are all possibilities of how we should save trees. As often as possible trees should be kept healthy and kept alive. Though trees can eventually grow back branches and roots that have been trimmed for safety reasons, eventually they stop re-growing. 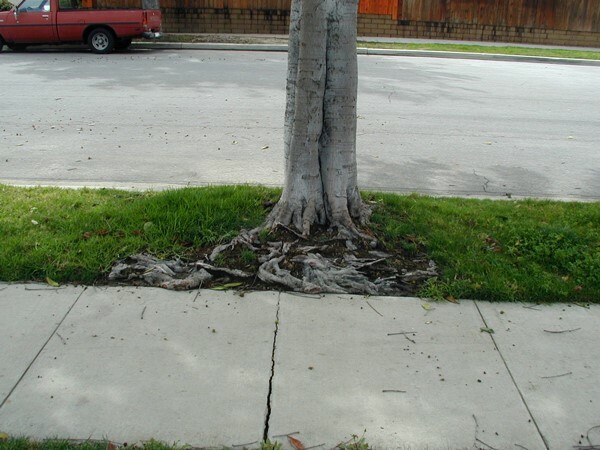 Often tree roots affect sidewalk conditions and begin to break the cement, causing it to lift and present a trip hazard. How we should save trees is to stop cutting roots and instead install TripStop™ when building or reconstructing sidewalks. TripStop™ is installed in sidewalk cement to allow tree roots to grow without damaging the walkway. The joint will move with the cement as the root pushes it, leaving the sidewalk in tact. Tripstop™ is the only sidewalk joint system that leaves tree roots intact when they start to lift sidewalk slabs upwards. If we maintain healthy trees and don’t let them die by continuously trimming their roots, we’re going to have clean air and a healthy ecosystem.